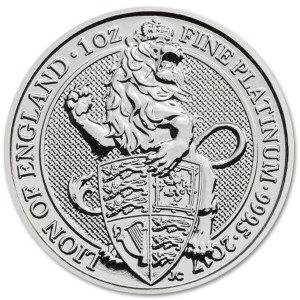 Platinum bullion is one of the most valuable substances in the world, and certainly the most valuable trade metal. That means it is also the best investment a physical bullion investor can make, and carries a mark of distinction and pride for any numismatist who carries one in their collection. 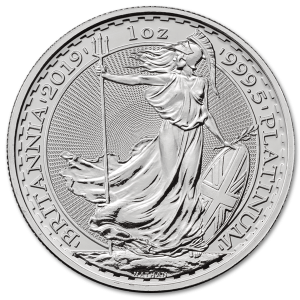 Bullion79 is honored to bring you its selection of great investment platinum coins, including the beloved platinum Britannia. The value of metals sometimes have interesting histories, and platinum is no exception. Platinum was once thought not only to lack value, but to be a nuisance to the Spanish Conquistadors. Imagine panning for gold, and instead finding yourself in possession of an odd white metal nugget that was neither gold nor silver. So it was that platinum was discovered, with its name deriving from the term platina, a diminutive of the Spanish word for silver “Plata.” To the Spanish at the time it had no value, and so it was used only to counterfeit silver, and sometimes was even thought of as an unripe version of gold! Today’s collector knows the folly of their Spanish forebears, and recognize platinum as one of the most valuable metals in the world! Platinum has become increasingly important in our industrialized world, making it an excellent investment option for those with the foresight. Every year new uses are found for platinum, and old uses for platinum are suddenly becoming viable enough to bring to the public. The first platinum based fuel cells were created in 1879, and with the recent rise of alternative fuel methods and turning away from petroleum fuels, these are being seriously looked at as a possible mass future application. With these exciting developments around the corner, it’s time to add platinum to your investment portfolio. 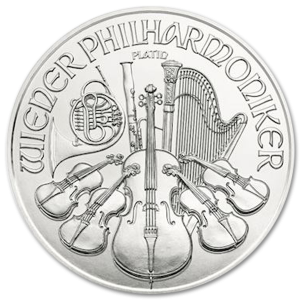 We presently carry three of the world’s most popular platinum coins for your investing pleasure. The Australian Koala 1oz Coin is a highly sought after collectors’ items for numismatists, and the Canadian Maple Leaf Platinum coin, the official platinum bullion coin of the Canadian nation. One of our favorites both for its unique art and beauty is the Manx Noble, better known as the Isle of Man platinum coin. Only run for a short time and in limited mintings, the Isle of Man Noble has both intrinsic value, as well as a potentially enhanced value for the numismatist investor.